There is a new 311 complaint system. BRIDGE GATE: Too much can be said on this subject. We’ll let the picture talk. Businesses and Merchants are fighting the traffic and parking nightmare that is closing many businesses. At a recent meeting Commissioner Dwight really laid it on the line. Small Business Commission hears complaints from Small Business Owners and Advocates April 22, 2013 meeting. Commissioners are all sympathetic the need for more parking for businesses. Plan to invite MTA and Ed Reiskin to a June 6 meeting. Video link to that hearing: http://sanfrancisco.granicus.com/MediaPlayer.php?view_id=45&clip_id=17346. All the suggestions the SBC made have been ignored. Maybe that is why most merchants are supporting Prop L and planning to vote No on A and B. No more money for the biggest drain on city coffers. DBI Illegal Activities: File a Complaint at (415)-558-6570. DBI Permit Violations: File a Complaint at (415)-558-5570. We captured an entire block of DPT cars with DPT permits parked in a white zone near Jackson Square on a Saturday. What kind of official business were they on? SFMTA needs to investigate and fine MTA employees who abuse DPT permits before they investigate and fine people for abusing handicapped parking permits. What kind of example are these bicycle enthusiasts setting by parking their cars for free on city streets? 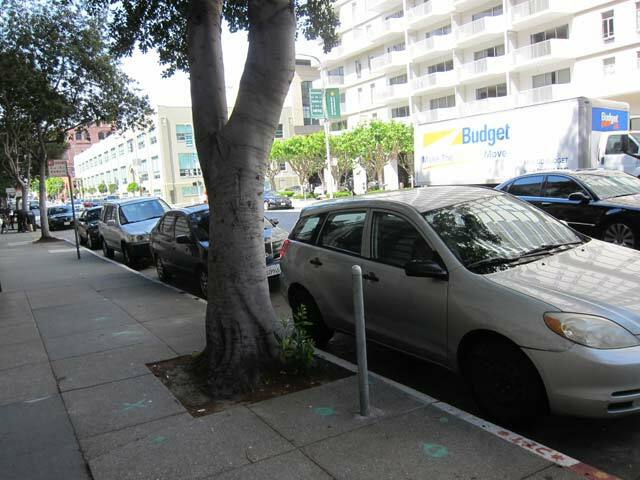 Cars with DPT permits parked in white zones on Saturday. Video and audio tracks sent by San Francisco citizens. Send us your links to your media files and we’ll include them here: on the Citizen Complaints page. I had lunch with an old friend on Tues. We met at a restaurant at Fillmore and Washington. I avoided parking on the neighborhood streets – I was early for lunch and there was a two hour limit. I decided I would park at a metered spot at Clay and Fillmore because I could program the meter for over two hours and thereby take my time at lunch. I think I set the meter for 2 hours plus maybe 10 or 15 minutes. (I would have gone longer but it was almost impossible to make the + button work.) Anyway, lunch and my retrieval of my car was uneventful. Today when I checked the amount on my debit card, however, I was shocked to find that SFMTA charged $13.50. This is to park in the Fillmore District at around noon on a Tuesday for a little over two hours. Also, if the meter posted the hourly rate in any easily identifiable, or eye-catching way – I did not see it. What a racket. Are you likely to go back there for lunch any time soon? 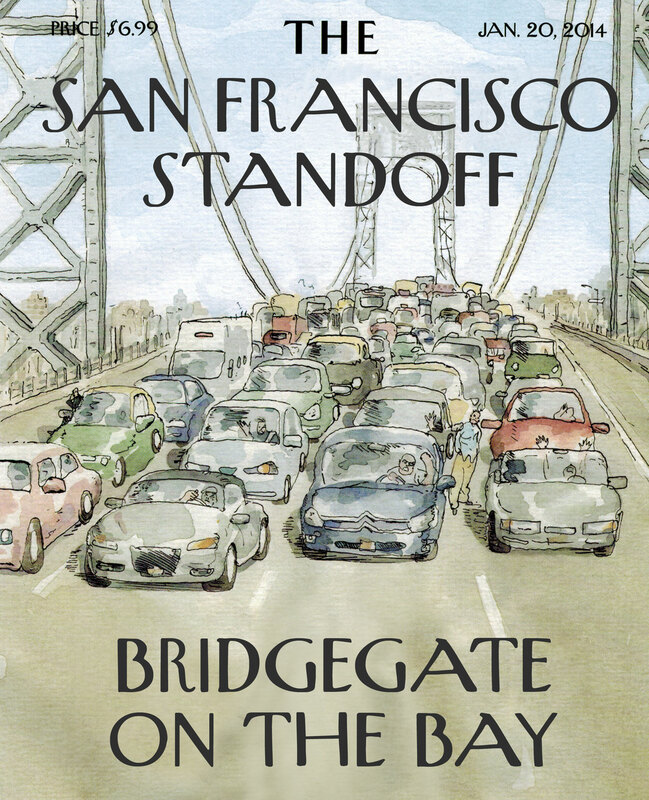 probably not… nor will I go back to the Embarcadero where today I got a $72.00 ticket. My husband and I parked a few blocks away (in front of Prospect restaurant). Went to lunch at Waterbar. There is a one hour parking limit. We parked about 2:30 pm and were ticketed at 3:38 pm. Were we beyond the time limit? Yes. Is the extreme IMMEDIATE enforcement reasonable? No. If the City fixed potholes or fought crime with such efficiency imagine how great it would be – oh wait…those don’t bring in $$$ to the SFMTA. (PS a friend who works on Chestmut Street says there is an SFMTA parking control person who circles the blocks and tickets people the minute the meter expires. Again, amazing how efficient the City is when it wants $$). The millionaires will probably come in droves from all over the United States when Ed Lee sends out media messages encouraging them to come. But where the rest of us will go is a very legitimate question. How can the Bay Area absorb the displaced who don’t want to leave in the first place. People are being displaced at the present time with many living in Oakland. This is disgusting and disgraceful. This city has been transformed from that of a haven for artists, poets and opponents of the social order to a city of hustlers who want to make a killing. They will then leave for Hillsborough, maybe Malibu. But housing will be concentrated into smaller units, generating greater profit for developers and a higher tax base. Presently, the city should go after the filthy rich in the financial district and not place the burden of taxes on us. The people targeted for displacement helped build this city and should not be sacrificed on the alter of greed. At 74 years of age, I will fight until my last breath, hopefully helping those who follow me. Sunday Parking not free before noon as advertised. We tried to “prepay” ahead of time, as we were lead to believe we could, at 10 AM on a Sunday so we wouldn’t have to leave the service at Noon to pay the meter. The meter started running at once on the Sunday morning so we paid for the extra two hours in advance of the Noon hour. After we returned, we drove to the Castro for a Sunday brunch, paid the maximum 2 hours parking at the meter and retruned to find a $62.00 ticket. No way! That is the last Sunday brunch we will be having in the Castro. Yesterday for the first time I tried to use Muni to get to the Palace of Fine Arts. There were two routes of 4 routes via Google that I printed. The first was taking the 27 and at 5th & Mission take the 80. When we got to 5th and Mission, the bus driver didn’t know where the stop for 80 was and we just could not find the bus stop. The second alternative was to walk to Market and go to 7th and Market and pick up the 70. This time the bus driver did know where the stop was and it turned out to be a Golden Gate Transit bus going to Santa Rosa. It is adjacent to Donut World on Market street. There are no signs. The bus stop there has no electronics and the sign posts which ordinarily have bus numbers had none. There is nothing but a map poorly lit at 6:30 on a summer eveing and difficult to read. We confirmed from a fellow traveller that the 70 and the 101 buses did stop there. It is a major transport hub and you just would not know it. It shows how little SF cares for its citizens particularly in that neighborhood. I have in the financial district tseen Golden Gate Transit signs. As a longtime resident of Noe Valley, I am very frustrated by the recent reconfiguration of lanes on Cesar Chavez. The extended stretch from Valencia to the 101 is now a veritable parking lot. Drivers tempers are now incendiary – it can take over ten minutes to travel 0.3 miles… simply ridiculous waste of time and consumption of fuel with increased pollution and spoiling of neighborhood flow and atmosphere… a real disservice. You must have noticed that “left turn light” on the corner of Guerrero and Cesar Chavez when you are facing East. There is none. After a while you figure out that since the traffic is not moving forward, they MUST have a red light so you can take your left turn. That is very dangerous and confusing. Almost as bad as what they have at the 16th Street railroad crossing. The three traffic lights in a row are so confusing that drivers have been known to slowly creep across the tracks on red, to the second light to take the right on red. Some even drive right through the final red light. This is the intersection where an elderly woman was hit by a train last fall. I can see why. How does a tourist know to ask for papers to prove they paid when a native SF citizen doesn’t know? I deal with the problem by avoiding Muni. I was ticketed for a missing front license plate near the Ferry building on Sunday. I was parked legally and had paid up their outrageous Sunday parking fees. Since when does a private organization have the right to ticket me for non-parking violations? Isn’t that the job of the police? Are they the police? Where can I find info on what else they can ticket me on? Moving violations as well. I will not be coming into the city unless I have an emergency and will take recommend my friends etc to avoid SF if possible. Too bad, you idiots are ruining this city. There have been a lot of complaints about the long arm of the SFMTA. Many people feel there is a problem with one entity covering all three areas: legislative, enforcement and judicial. There are many complaints regarding the appeals process in particular. If you have any time and energy to put into the issue, let us know. Obtained relevant and current names & phone numbers of supervisors, managers & assistant managers in the SFMTA Finance and/or Sustainable Streets Divisions which affect each and every person in SF if they receive a parking ticket infraction. I am beyond PISSED. SFMTA forged the time they checked my car on the ticket issued. Officer M.S. wrote a time of 935am. I moved my car into this parking spot after 1000am. M.S. issued a ticket at 1146am which is less than 2-hours after I parked my car. I moved my car before 1200pm to make sure I received no parking ticket. How does this organization have ZERO accountability? If L passes we may be able to make some changes until then, try to take photos and gather evidence and file complaints.